Quality outdoor portable building structures including Garages, carports, canopies and more. Check us out for great deals on all of your portable storage needs. From cars & trucks to animals and equipment we are sure to have a temporary and/or portable storage solution for your needs. 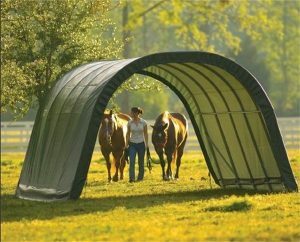 You can learn more about portable garages, shelters, and more at our sister site, Tarps and Canopies! A yard is a place where family and friends gather, so you naturally want it to be relaxing and inviting. Things that were bought years ago to decorate the yard have likely become damaged, and items that you bought to entertain others may no longer be used. That can lead to clutter that can make it hard to enjoy spending time outdoors. 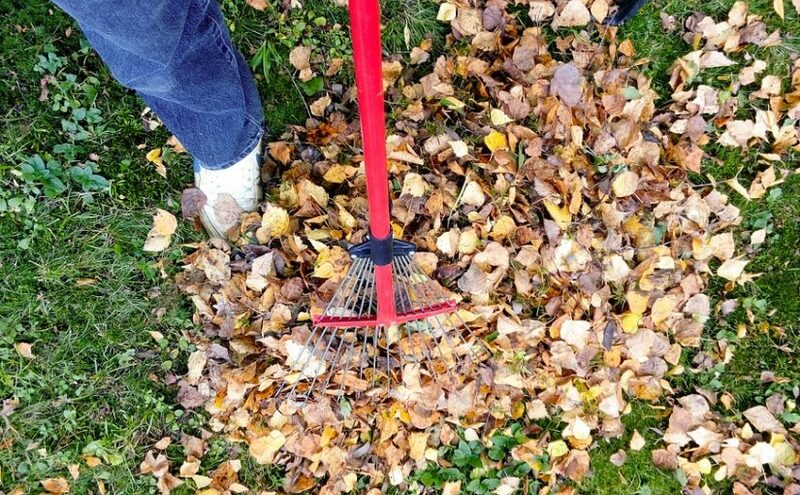 Take a look around your yard and see what you can do to clean it up. The yard furniture you purchased years ago may have become rusty or damaged from exposure to rain, snow, and the sun. Inspect it and see if it can be repaired. If so, fix it yourself, pay someone to repair it, or donate it so someone can fix it and sell it. Statues and other decorative fixtures that you placed in your yard have likely become damaged by the elements. Sometimes wear can make statues look more appealing, but in other cases, they just look like junk. Discard or recycle any broken or unsightly statues. If you bought pots to grow flowers but gave up on that hobby, get rid of them. If they are in good condition, you might be able to sell them or donate them to a local agriculture program. If not, recycle them. Garden tools that aren’t used don’t serve any purpose, and tools that are left outdoors are likely rusted. Sell them, have them repaired, or recycle them. A leaky hose might be able to be fixed. If you have tried to patch it and it still leaks, recycle it. If you have paint, primer, or stain left over from projects and no plans to use it, find a local place to recycle it. Don’t dispose of those items in the trash. Many homeowners collect trimmed tree limbs and scraps of wood left over from projects. If you have a pile that you don’t plan to use as firewood, recycle it. You might be able to light a bonfire but check your local laws. If you have piles of garden weeds and grass clippings, turn them into compost to use in your garden. You can add household waste for additional nutrients. Your kids probably loved to play on a swing set when they were young, but if they have grown up, you shouldn’t keep it thinking that you might have grandchildren in five or ten years. It will be too rusty to use long before then. Sell or donate the swing set. Old toys, such as bikes and trampolines, that are no longer used are just taking up space. Sell them or give them away. Once you have cleared out all the clutter in your backyard, you will have space to store things you actually use, such as vehicles and tools. Shelters of America offers portable garages in many sizes and styles to keep your backyard organized. Order one today. It’s cold in much of the United States right now, and motorcycle owners are having to settle for dreaming of the spring. In the meantime, they need a safe and secure place to store their motorcycle under the mercury rises until they can ride again. Unfortunately, not every motorcycle owner has access to a garage. Some owners even resort to using tarps, which are cumbersome and can blow away in the wind. 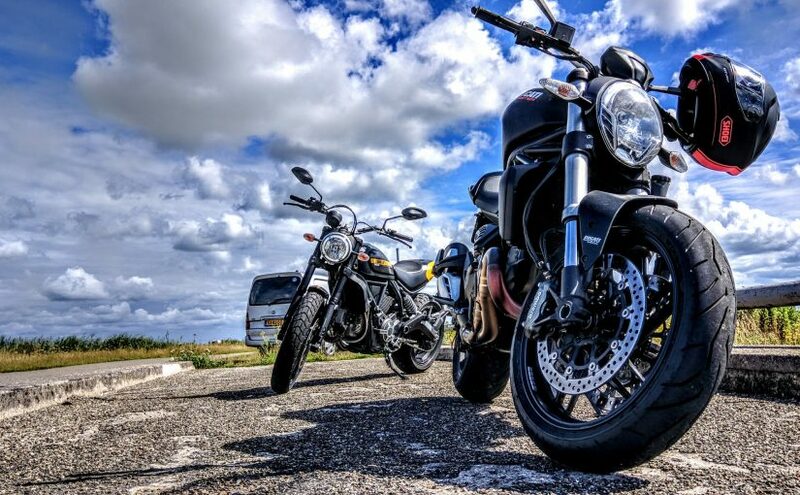 Portable garages are a great solution to protect your motorcycle from rain, wind, and sun, all of which can cause serious damage to motorcycles over time. A portable garage or carport is a temporary outdoor structure that usually consists of a fabric cover over frames made of either powder-coated or galvanized steel tubing, depending on the model. 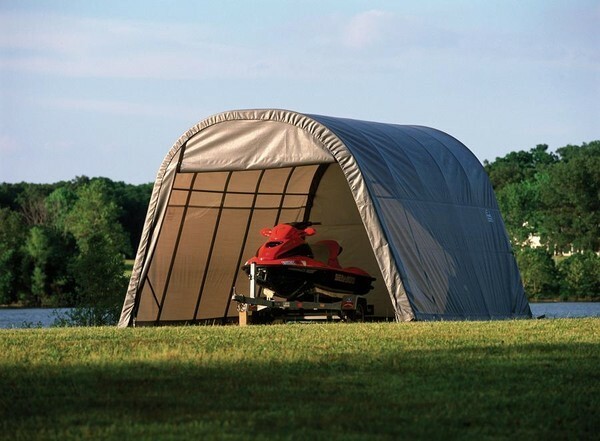 The garage covers come in a variety of colors and are made of durable, layered polyethylene that includes a rip-stop material for long-lasting durability. A wide variety of surface anchors are available to accommodate all surface applications (asphalt, cement, etc.). Once installed, portable garages are a good solution for reliable, low-maintenance storage space for motorcycles, cars and other vehicles. Compared with the costs that go with a permanent garage or storage solution, portable garages are extremely affordable, and can help keep your valuable motorcycle, car or ATV away from “prying eyes” and theft. Portable Garage Depot is a leading manufacturer of portable garages and carports nationwide. It’s a one-stop shop for an instant all weather portable garages and portable carport building kits that help protect your motorcycle, vehicle or other possessions from harsh weather. Portable Garage Depot offers many universal do-it-yourself garage design buildings to fit your every need, whether it’s vehicle storage or for equipment, tractors, tools, sand and salt piles, hay, portable horse shelters and more. Call 800-984-7657 or visit our web site to discuss your portable garage needs and compare options. A portable garage is an excellent alternative to a traditional garage. It can keep vehicles, tools, lawn and garden equipment, and other valuable belongings safe from the elements if you don’t have space or money to build a traditional garage. A portable garage has steel support beams and a durable polyethylene cover that can stand up to rain and wind, but for those components to work, the entire structure must be firmly anchored to the ground. If you want to set up a portable garage on a dirt or grass surface, anchoring it should be fairly easy. The portable garage kit should come with a set of anchors that can be driven into the ground at an angle to secure the structure. Be sure to use the anchors that came with your portable garage since they are designed for a building of that particular size. Other anchors from a hardware store might not be able to support the weight of your portable garage or might not extend far enough into the ground to keep the building stable in strong winds. If you don’t have space in your yard for your portable garage, you might need to set it up in your driveway. Anchoring a shelter to asphalt is more difficult, but it can be done. 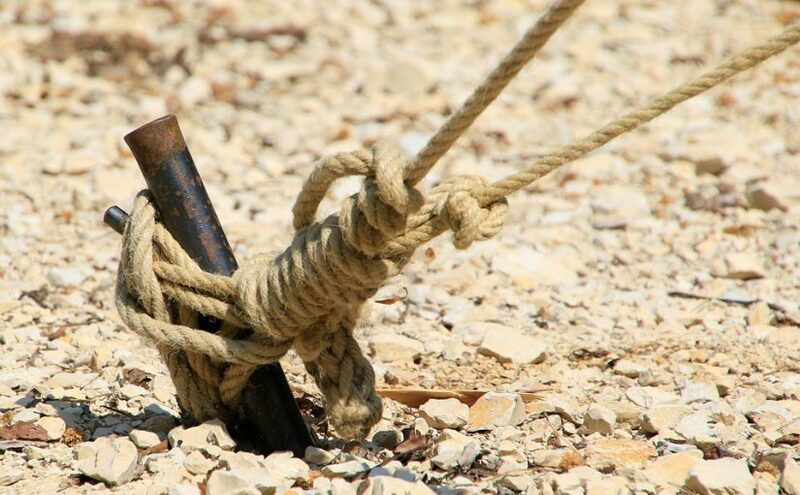 You will need to use quality, heavy-duty anchors that are specifically designed to be used in asphalt and drill holes into the driveway to secure the anchors. Make sure you have the proper equipment. If you don’t, you might be able to rent the tools you need or hire someone to help you. Depending on the size and weight of your portable garage, you might need stronger auger anchors. They are designed for larger and heavier portable garages that might be difficult to adequately secure with standard anchors. You can find auger anchors that are designed for grass or dirt surfaces or asphalt. A portable garage is a significant financial investment, so you want to make sure that it can stand up to wind without suffering damage. Properly anchoring your shelter can allow it to perform the way it should and protect your valuable possessions inside. If you decide to relocate your portable garage to another part of your property or to move to another house, you can simply remove the anchors from the ground, pack up your portable garage, and transport it to another location. Portable Garage Depot offers shelters in a wide range of sizes and styles that can be used to protect your vehicles and other prized possessions. No matter which type of shelter you choose and where you set it up, be sure to anchor it securely to the ground. Order a storage shelter and the appropriate anchors from Portable Garage Depot today. Unlike a standard SUV or sedan, most RV’s and campers do not act as daily drivers. Primarily designed for road trips and camping, it’s common for these behemoths to stay stationary for extended periods of time. Whether they’re hibernating for the winter, or taking a short summer break, RV’s and campers need to be properly protected from the elements. When you house your RV in a rental space, you have to travel there whenever you need to pick it up; conversely, a carport allows you to store and protect your vehicle on your property. While it may not see as much action as your daily driver, it should still be made accessible to you should you ever need to drive it. 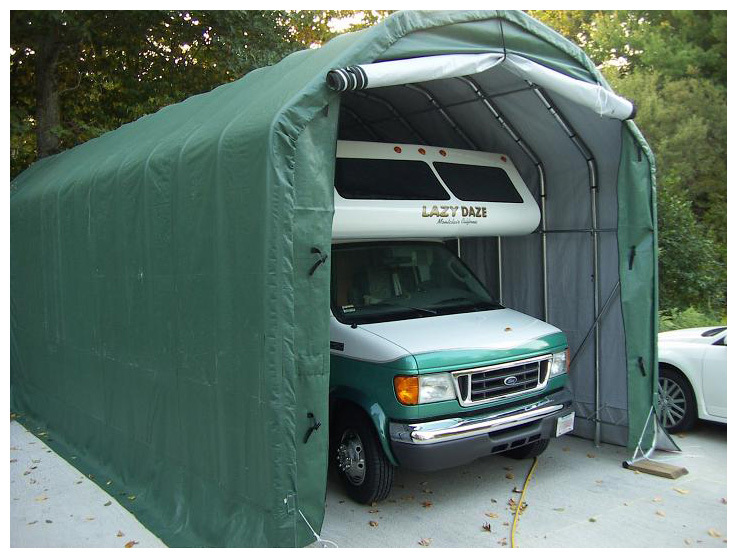 As with any vehicle, it’s important for your RV or camper to be protected from the elements. When exposed to scorching hot temperatures, the paint will begin to fade. When no barrier exists between your vehicle and the sun’s beating rays, the vinyl or rubber on the outside of your RV will start to crack. Similarly, in the winter time, hail, freezing rain, and falling trees can damage the exterior too. These same principles apply to the interior as well: the sun’s rays can pierce the exterior, causing the materials inside your RV–your seats, dashboard, and living area–to fade. Both frigid cold and piping hot temperatures will lessen the energy efficiency of the vehicle too. This will make it harder for the RV to maintain a consistent living temperature. 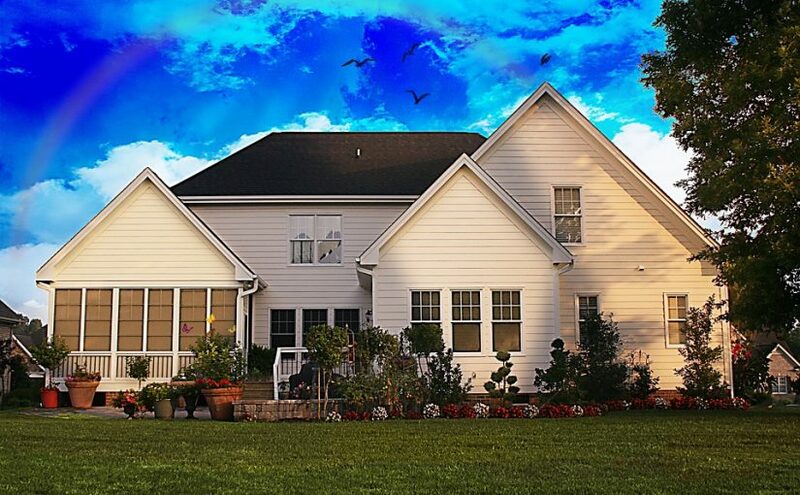 Ready to Protect Your Investment? Check Out Our RV Storage Solutions! If you’re serious about protecting your RV with a carport, then you’ve come to the right place! Shelters of America offers steel carports specifically designed to house your RV. Available in 3 sizes: 12’x15,’ 18’x28,’ and 30’x42.’ Browse our RV storage shelters today. Portable garages have been around for a long time. They’re a great, cost sensible alternative to building a structure for storage purposes and they can be moved, taken down and rebuilt whenever and wherever needed. If you’ve been thinking about getting a portable garage but don’t have any extra cars to store or thought they were just for lawn equipment, this list will give you some additional ideas that make getting a portable garage worth it. Keep reading to learn why! There’s no homeowner or passerby who likes to look at a messy lawn. Backyards filled with equipment, kid’s toys and stacks of stuff aren’t typically easy on the eye. To avoid annoying neighbors and to keep your valuables out of the wrong person’s sight, use a portable garage. It doesn’t have to be too big and you can still fit your leaf blower, push mower and your kid’s bikes and sports equipment in there for safe keeping. One of the greatest benefits of a portable garage is that is costs significantly less than having to build a brick and mortar structure on your property. While cheaper isn’t necessarily the best tactic when buying, investing the extra savings in a quality portable garage made of galvanized steel and polyethylene cover will give you the best bang for your buck. She Sheds is a trending topic these days. What was once a place for men to get away for some peace of mind, portable garages are now becoming crafting spaces and places, where even women can step away from the days, stresses to unwind. If you’re someone who likes toys and owns your fair share of weekend cars, bikes and boats then you need somewhere safe to keep these in the off-season so they don’t endure the harsh outdoor elements and become damaged. 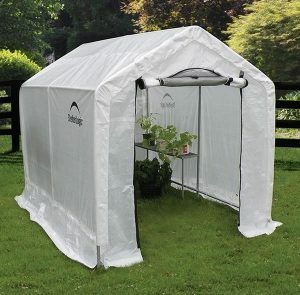 Depending on where you live, you can invest in a portable garage for extra protection of your flowers, plants, and trees. They work great as small greenhouse kits and can even have lighting added to them as a method to aid in their growth and care. In addition to better management of your “things” portable garages can even help you with livestock and animals. Keep your horses and other outdoor animals and their food safe from heavy wind, rain, snow, heat, and other potentially damaging elements. Portable Garage Depot provides everything you need to protect your valuables. From custom garage and carport frames to covers in a variety of colors and surface anchors that accommodate all applications. Check out the video below to hear more about why our Portable Garages are the way to go! If you need space to store one or more vehicles, tools, or livestock, but you don’t have the time or money to build a permanent structure, a portable garage is an excellent alternative. You can find many options online in a variety of sizes and materials. Here are some things to consider so you can make the right choice. The first thing you need to think about is what you want to store in a portable garage. If you want a garage to shelter a car, truck, RV, or boat, measure the length and height of the vehicle so you can choose a large enough portable garage. If you want to shelter two vehicles, make sure there will be enough room to park them with space for people to walk around and open the doors. Choose a portable garage with one large door or two smaller doors so you can move both vehicles in and out easily. If you need to store landscaping tools and equipment, such as a lawnmower, rakes, and garden shears, you can go with a smaller portable garage. If you need a place to house animals, such as horses and livestock, you can put a portable garage in a pasture and leave the door open so the animals can come and go as they please to escape the sun, rain, and cold temperatures. Where Will You Put Your Portable Garage? Consider the size and layout of your property. You might want to buy a portable garage to store two vehicles, but if your yard isn’t big enough, or if there is no way to maneuver the vehicles in and out because of another structure in the way, it simply won’t work. You might need to choose a different size or location for a portable garage or move another structure in your yard, or you might be able to find a way to fit two smaller garages in different areas on your property. Be sure to pick a portable garage made from durable materials. A steel frame can help the garage stand up to strong winds, and a polyethylene cover can protect whatever you store inside from rain, snow, and the sun’s UV rays. Portable garages vary in price depending on several factors, such as size, height, and materials. Think of a portable garage as an investment. You are better off paying more up front to purchase a shelter that can stand up to the elements for several years than to buy a cheaper one and worry about it falling down. A portable garage can keep your vehicles, tools, or animals safe. Before you buy one, think carefully about how and where you will use it and select the one that best suits your needs. Portable Garage Depot offers a wide selection of shelters in many sizes and styles that are made with quality materials. Place your order today. With the cooler weather quickly approaching, you’ll most likely find that you don’t need your boat or bike anymore and you’ll need to place it in storage. Having a storage spot will not only help ensure that the boat or bike stays dry and warm but it’ll also give you the peace of mind until you’re ready to break the toys out once again in the spring. Here’s why a portable shelter is the best option for you and how you can prep your boat and bike for the treacherous winter conditions. Unlike other storage options, portable shelters are not only moveable but they are also able to fit any shape or size of the toy, whether it be a rowboat or a fishing boat. You can also select a portable shelter made of galvanized steel which has a much longer lifespan than those made of powder coated steel if you desire. Other storage options can also be extremely expensive and will not be able to fit larger boats and toys. Portable shelters come in a variety of shapes and sizes to help avoid this. 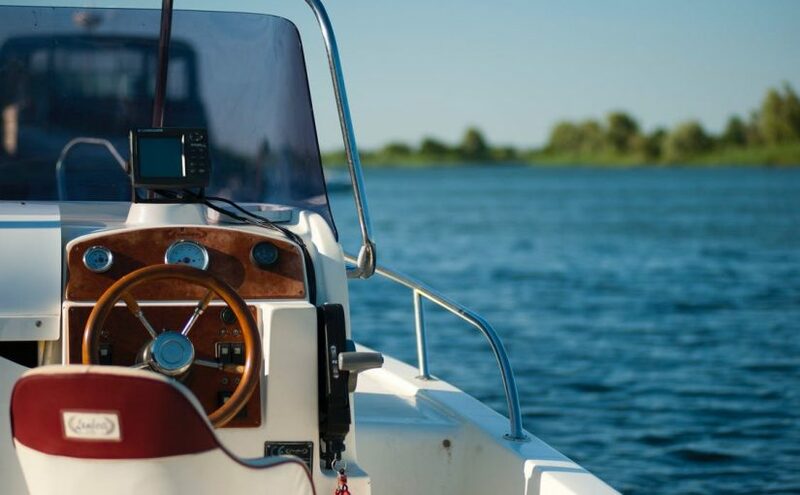 Both winter weather conditions and long periods of storage can affect your boat meaning costly repairs and a lot of maintenance in the spring. Before storing your boat in your shelter, you will want to change the oil, fill the tank with gas, and refresh the coolant system. This will help prevent the corrosion of your engine as well as help the engine parts from freezing. You will also want to disconnect the battery. Leaving the battery in will most likely cause it to drain and die. Instead, take it out and charge it every so often so that when it’s time to start boating again, it will be fully charged and ready to go. Much like a boat and RV, a motorcycle requires some maintenance before storage to help ensure that come warmer weather, it will be in drivable condition. You will want to top of the tank, get an oil change, and remove the battery but you will also want to fill your tires to the maximum recommended volume and rotate the front tire once a week. This will help prevent flat spots. If you’re not sure what kind of portable shelter is right for you, we have a custom quote form that allows us to get a sense of what storage shelter you need. You can also contact us at Shelters of America and we will be happy to answer any questions that you may have. New seasons represent weather changes for many. Depending on where you live, the end of summer means colder temps, adverse weather conditions and protecting your valuables from the elements is a must. The change from summer to fall is a move from cruising around on your motorcycle, in your classic car, boat or your RV and storing those items until next year. Portable garages make terrific additions to your property for this purpose of safe storage. They shield your valuables from damaging wind, ice and more and help you preserve them until you can use them again. Before your toys into the portable garage for safekeeping, it’s a good idea to clean and clear the space for optimal storage conditions. Here are 3 tips to get your carport organized before fall. If you’re someone who waits until the last minute to get things done and works well under pressure, this isn’t the time to use those skills. You want to set aside ample time to get your portable garage situation cleaned up and ready for winter storage. Starting now, a few months in advance of those weather conditions makes the most sense. The first thing you should do before stuffing any more things into the already crowded storage space is to clean it up. Clear the clutter, discard what is no longer needed or used and spend some time raking, leaf blowing and getting rid of loose dirt and debris that can cause issues to the cosmetic integrity of your valuables when stored. A good rule of thumb is to create a pile for the items you’re sorting. Categorize them by “Keep”, “Toss” and “Sell/Donate” and you may even make some pocket change in the process. A clean and cleared portable garage can also be easily inspected for any rips or tear or issues with the frame that should be addressed before heavy snowfalls and bad weather come around. With a cleared and cleaned portable garage space, you can also take the necessary time to plan a layout for the items you’ll need to store over the winter months. Getting your car, motorcycle and lawn equipment into the portable garage space isn’t a hassle when you’ve take the time to carefully plan. Shopping for a portable garage? Our custom, instant portable shelters and carport building kits offer all weather protection. We also have the lowest prices and will ship all buildings nationwide. Carports are a cost-effective way of adding additional storage space in your yard without the commitment or large price tag of a permanent structure. Most homeowners opt for a carport to store a boat or motorcycle over the winter months. While the versatility of the dwellings certainly makes taking them down and putting them away in the summer possible, why get rid of something you can still get used out of? In a addition to protecting vehicles from snow and ice, they can protect from harmful UV rays and provide relaxing shade for outdoor events. If you’re having a hard time thinking about your carport as anything but an extra storage shed, here are some tips on sprucing up your carport so it’s far from an eyesore and something you actually want to go sit under. Keeping your carport clean should be a given. Even when storing your valuables, the only way to keep critters away is to keep the carport clean and clutter free. Make it a point to hose down the exterior and sweep and rake up loose debris and dirt on the inside to keep it looking neat. Carefully trim grass around the exterior if it’s overgrown. In addition to trimming grasses and raking, you can also add to the appeal of your carport by incorporating landscape design ideas to spruce it up. 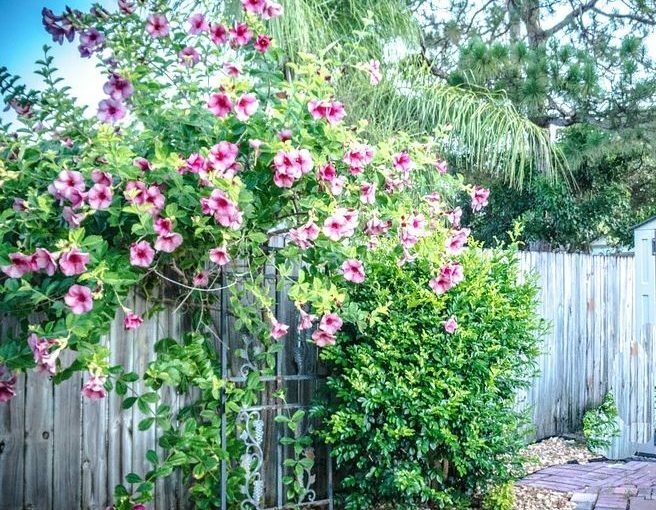 Add some mulch and flower beds around the perimeter to draw interest to the space and use inviting colors and layouts to draw visitors over. Perhaps of the best reasons to get a carport is because it doubles as the perfect extra area for entertaining. And the best part, you don’t have to worry about the weather affecting plans. Host parties under the tent or have friends over for a drink. You can even add patio furniture and an outdoor rug or tables and chairs to get the most use out of your carport. Looking to purchase a carport? We have a large selection of shapes and sizes to fit varied spaces and for usage that spans wood storage to a carport large enough to cover an RV. Our carports are durable and reliable. They’re constructed out of either galvanized or powder-coated heavy-duty structural steel and designed to handle long-term exposure to the elements. SHOP NOW! Carports make a wonderful addition to any home’s property because they offer an extra covered area to store vehicles, lawn equipment and even protection for livestock. While carports are terrific for keeping these valuables safe from the elements, they also provide additional benefits users may not consider. Since the structure is covered and secure in place, it can also double as a pavilion. Somewhere to host parties that keep guests shielded from the damaging sun rays and out of the path of any possible rain showers that could ruin a day’s plans. Since there are no walls, it’s also a great idea when you want to have a gathering out in nature without obstructing the beautiful scenery around. Set up picnic tables and decorations and the space in your yard can double as the perfect location for a summer birthday party or picnic area. 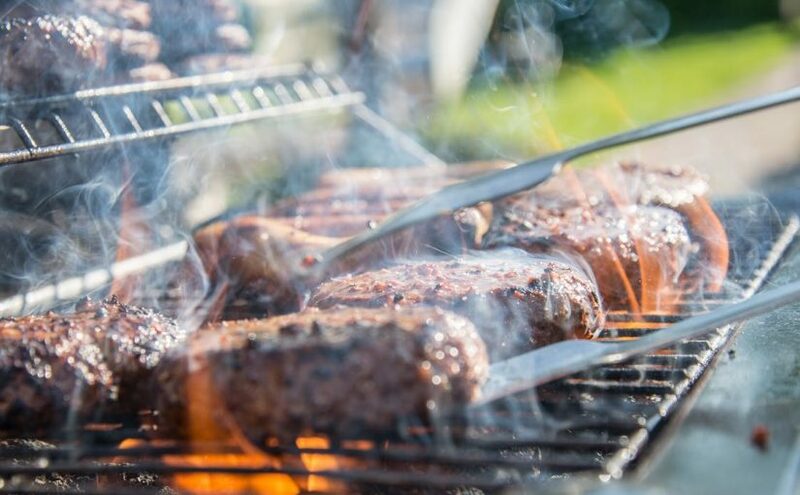 With 4th of July just around the corner, this post is also a reminder about grilling safety and carports. In no way should you ever place a grill underneath a carport. Even if the weather is showing signs of precipitation, it is never okay to use an open flame under these dwellings. Just as keeping the grill away from your home is a well-known fact, so too should being safe around a carport be practiced. In addition to the possibility of fire, there is also the risk of carbon monoxide poisoning. Be sure wherever you are grilling has plenty of space around it to ventilate and that children are kept away from any open flames. You may also want to have water or a fire extinguisher on hand for extra precautions. Carport Depot provides an array of options and sizes from metal carports to polyethylene covers that block out harmful UV rays. Our high-quality carports are available at affordable prices and a multitude of sizes so picking the carport right for your needs is a breeze.